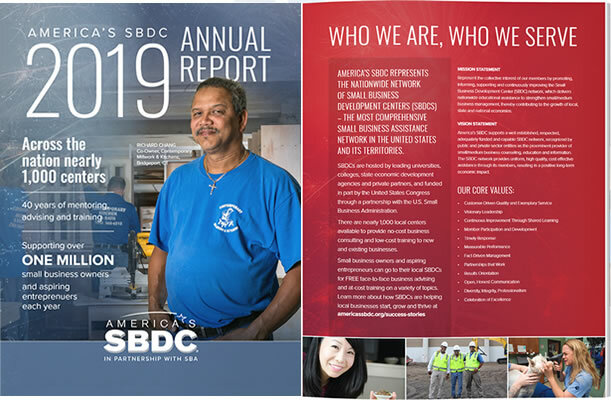 See the new America’s SBDC Annual Report, available here. Small business owners and aspiring entrepreneurs can go to their local SBDCs for free face-to-face business consulting and at-cost training, on topics including business planning, accessing capital, marketing, regulatory compliance, technology development, international trade and much more. SBDCs are hosted by leading universities, colleges, state economic development agencies and private sector partners, and funded in part by the United States Congress through a partnership with the U.S. Small Business Administration. There are nearly 1,000 local centers available to provide no-cost business consulting and low-cost training to new and existing businesses. Millennials are brimming with entrepreneurial potential. Stay Connected with America’s SBDC . . . Become one of the millions of entrepreneurs who have unlocked their potential with help from their local SBDC.